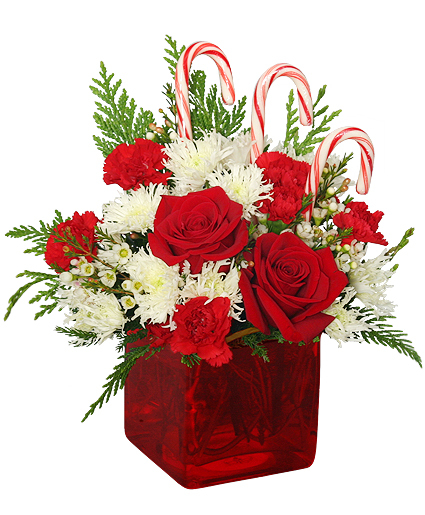 CANDY CANE CUBE Holiday Flowers in Southern Pines, NC - Hollyfield Design Inc. The perfect gift to last throughout the holidays, this handmade boxwood 'tree' is made of local boxwood and fir. Perfect for small spaces at retirement and nursing homes, hospitals, and apartments. 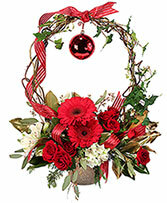 Bring the beauty and smell of Christmas to those you love! 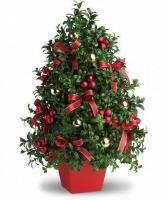 Can be decorated with holiday balls and ribbon or left in its natural beauty with local holly berries - just tell us how you want it sent! Containers will vary with availability.